For a residential roof repair company that they can count on to provide customer-focused service and precise craftsmanship, homeowners in the Glen Carbon, Illinois area turn to Daech & Bauer Roofing. We’ve been providing comprehensive roofing services throughout the region for many years, and our commitment to our customers has helped us earn the annual Home Builders Association Remodelers’ Distinction Award on six occasions. 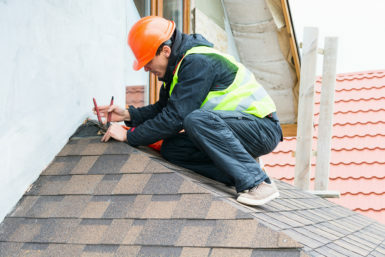 Additionally, Daech & Bauer Roofing has worked extensively with insurance companies in the past, and can help you navigate the tricky claims process if your home’s roof has been damaged by severe weather. If you are looking for unmatched levels of service in the Glen Carbon, IL area, contact Daech & Bauer Roofing for all of your residential roof repair needs.